A couple of weekends ago at PAX East 2015, I had a private demo and interview for the recently announced Guild Wars 2 expansion, Heart of Thorns. 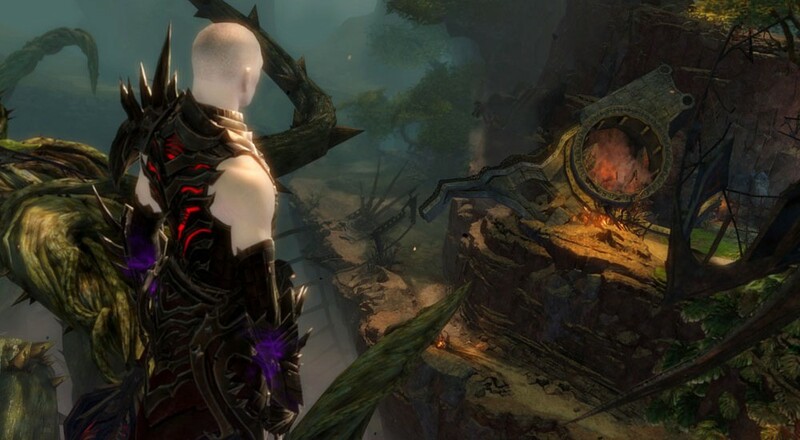 What I saw and what the developers told me about the expansion is the focus of this month’s MMO Co-Opportunities: a GW2: Heart of Thorns Preview, if you will. The demo took place at the Westin hotel located next to the Boston Convention and Exhibition Center. It was nice to get away from the pressing chaos of the convention center and be able to talk at a reasonable volume. I was shown the demo that ArenaNet had on the expo floor while being given some insight into the development of the expansion. Two developers were in attendance: Izzy Cartwright and Colin Johanson. Izzy did most of the talking while Colin was at the computer running the demo. I spent quite some time with GW2 in beta and several months after launch, but it’s been a fair amount of time since I’ve devoted time to it exclusively; however, I’ve casually read about the Living Story installments (Season 2 recently wrapped up), so I feel like I’m reasonably in the loop. Heart of Thorns picks up where the Living Story has left off. Player characters are venturing deep into the Maguuma Jungle in a fleet of airships. The expansion opens up with the pact fleet meeting a disaster in the sky and players crash-landing right into the jungle. 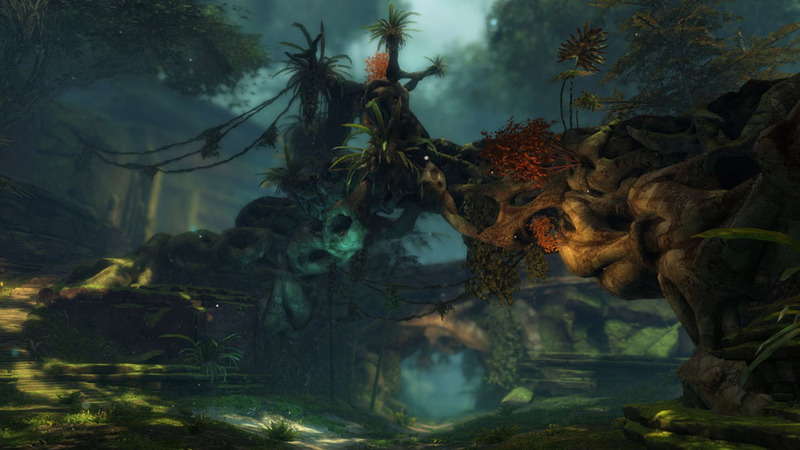 To make matters worse, many Sylvari NPCs have turned against the alliance for an unknown reason. Players will have to salvage the situation and pull the survivors of the pact back together again. There will be different options to pursue for players that will affect later parts of the story. Players will also get different voice overs based on past choices made in the Living Story and their race or class. ArenaNet has also put a great emphasis on having the story and open world flow more smoothly into each other. When a story mission ends and players re-enter the open world, they should feel like what’s happening in the world around them makes sense based on the events that just happened in their story mission. The Maguuma Jungle itself makes a lot of use of vertical space. The map is divided into three layers: the jungle floor, the sky, and the roots. Players will be bouncing between all three of these layers for both the story and the open world content. Of course, both story missions and open world content are equally accomplishable either solo or grouped in a party.